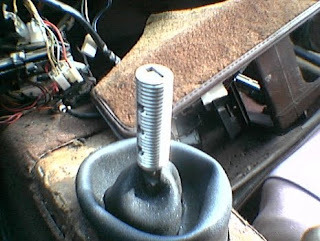 In the last semester of my college machine shop class I had an idea for a shift knob with a push-button momentary switch sticking out the top of it. I even had the idea of engraving "go baby go" around the button. Yeah by “I had an idea” I mean I had the idea to watch Gone in 60 Seconds and fall in love with the Eleanor Mustang in all it's nitrous boosted glory. 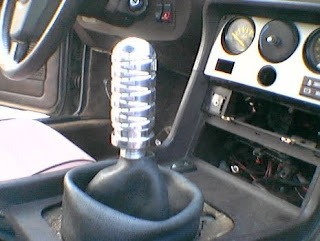 I showed my shift knob creation to a friend & she wanted one without the push-button top for her car. 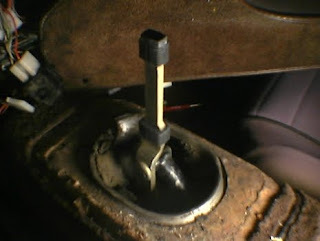 As the photo shows the shifter in her 80's era Porsche was pretty worn out. The coolest part about this project came when I disassembled her console and saw that the arm from the transmission was rectangular and I faced the age-old question of how to fit a square peg into a round hole. 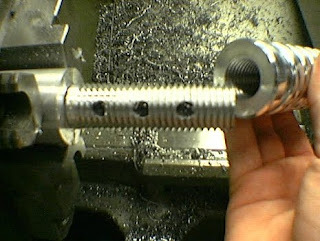 I'm pretty pleased with the solution I came up with, especially considering that it was only the third semester of a very uninspiring machine shop class. 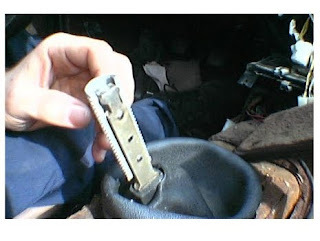 I don't like it when people hack up a vehicle to install some after market part, whipping out a drill, or a grinder, or a hammer (but never getting any measuring tools) to get that part on there now! Hack jobs are rushed, no thought's given to fit & finish and the “quality” of the result is only measured with a check box - done. One more aside to end my digressing: Being a “chopper” or a “rat-rod” does not denote being a hack job. So my solution for attaching the new part was something that could be easily undone. Isn't that beautiful? A split, round, aluminum bar with counter-sunk screws holding the 2 sides together, a pocket that fits snugly over the rectangular arm, and a beautiful 7/8 course o.d. thread to beautifully fit the 7/8” i.d. 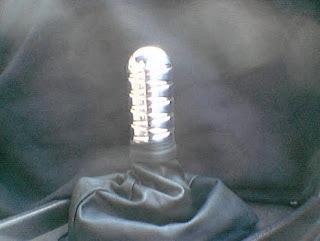 machined into the shift knob. That adapter's my favorite part, I would have preferred never to cover it up at all, just call the project done right there, but as I mentioned previously, the friend I made this for was a girl so I had to put the smooth polished part on top. 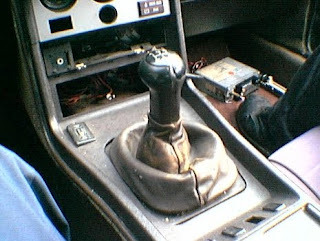 And because she was a pretty cool girl I sewed her a new leather shift boot too.